If you area Mom like me and enjoy a deal that just never seems to end, then you may want to head to Champps this weekend. 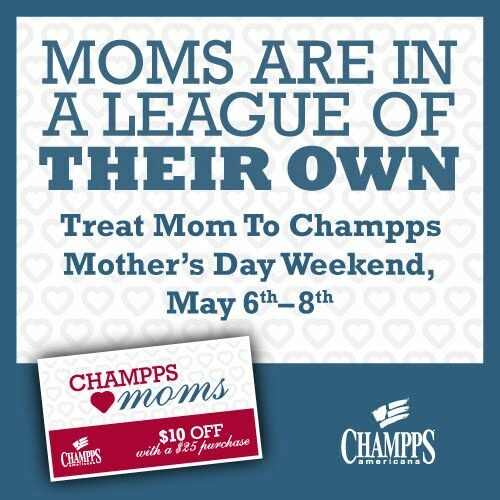 From May 6th-8th, all Moms that dine at Champps will receive a coupon card for $10 off a $25 purchase. Then, every month that you return to Champps to reuse the card, the card will be reloaded with the same deal for the next month (up to one full year). The catch is that you must use the card each month or it will not be reloaded. To locate a Champps near you, go HERE.